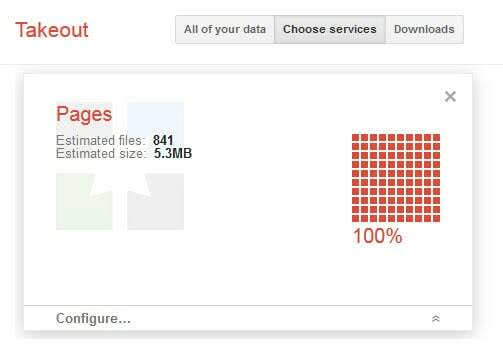 Google Takeout is a service by Google that enables account owners to save some of their data to a local system. The takeout service makes available data from a variety of Google services including Google Drive, YouTube (the videos uploaded), Contacts, Picasa Web Albums or Google Reader. Once you are on the official Takeout page you can either select to download the full archive from all services made available here, or make a selection of services that you want to export data from. Google has added two new services to Takeout recently. 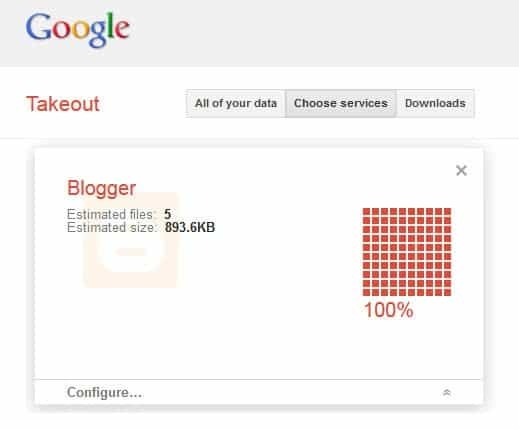 It is now possible to export Blogger data and Google+ Pages data to a local system. As far as Blogger goes, the data will be exported to Atom XML files which you can load locally into an application supporting the format or into another web application if the format is supported. The blog archive is provided as a zip file that you can download to your computer after entering your password again. Note that it may take some time to generate the archive, and that you will be notified by email when it is available for download. All blogs that you maintain on Blogger will be included in the download, each in its own Atom.xml file. What you can do with the data? You can for instance transform the XML into XHTML using XLST. The Google+ Pages export option is the third option covering Google's social networking service Google+. Google Takeout previously supported the export of the Google+ Stream and the Google+ Circles. Pages on the other hand is only useful for users who have created at least one page on Google+, for instance for a business, website or hobby. The download includes data from all pages automatically. When you extract the archive you end up with a folder for each page, and in that folder two subfolders that lead to activities and circles. Activities includes all posts made on that page in single HTML files while circles include customer, following team member and vip json files. A couple of services are still missing from Takeout, with the most prominent one being Gmail. While you can export all Gmail email messages using excellent third party software like Thunderbird or Mailstore Home, some users may prefer a first party backup solution instead.